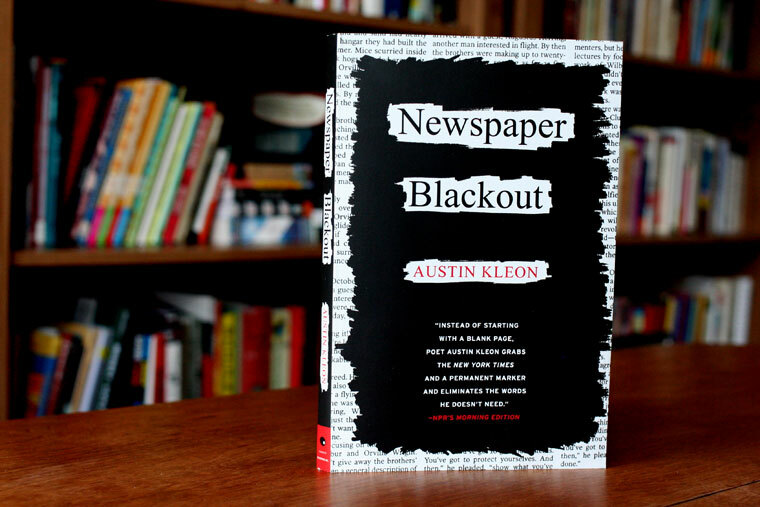 Finished reading “Newspaper Blackout” by Austin Kleon. For examples of blackout poems, click here. I took a pamphlet I purchased in New Orleans and had a blackout poetry contest with my friend. We sat down with three pages of text and a marker. She finished first. Still, it was fun to look at a sea of words and not read them in the order the author intended but instead search for a word that could follow what came before. This book has a great outline of the history of newspaper blackout and instructions on how to do it yourself. Give it a try!